After studying common vocabulary found on the ELA exam (sold in a separate worksheet), students will complete quizzes on these words. 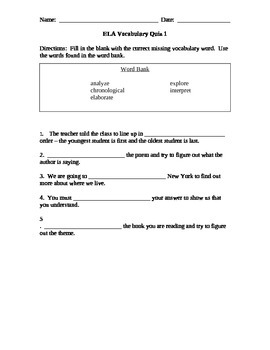 Students are provided with a word box and five fill in the blank sentences. Can be used as in in-class quiz or homework assignment.